One of the stories Sgt. Harling told his family was what happened when he would forget to de-energize the aircraft's radar set before starting to work on it. It is not known how many times it happened, but for most electronic technicians once is enough! He described how the high voltage would enter his arm and make the arm muscles react, causing his arm to straighten out and throw his screwdriver out of his hand and hit the fuselage of the aircraft. The family memory is of him working on both 419 and 428 aircraft. And that he had mentioned a sadder duty that many ground crew had to perform and few ever mentioned. The aircraft that returned with wounded or dead were in need of being cleaned of the aftermath of the actions of bullets and shrapnel on humans. Sometimes they were men known to those who worked as ground crew, and memories of those clean ups stayed with the ground crew usually for the rest of their lives. Clinton Ontario was right in the snow belt of Southwestern Ontario, more than an hour away from London Ontario. Here at what was No. 31 and became No. 5 Radio Detection Finding School, the students who had already completed other radio schools would continue on with a very difficult and demanding training session. 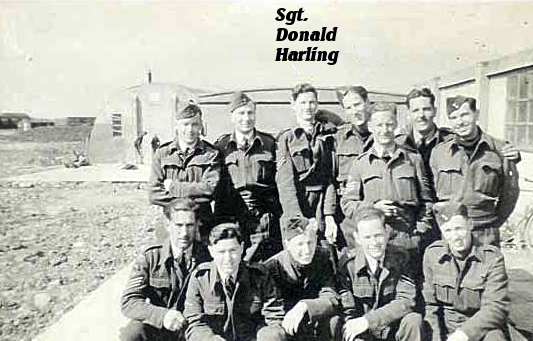 The base in winter months was sometimes closed off from London or the EFTS training center in Goderich to the North West. 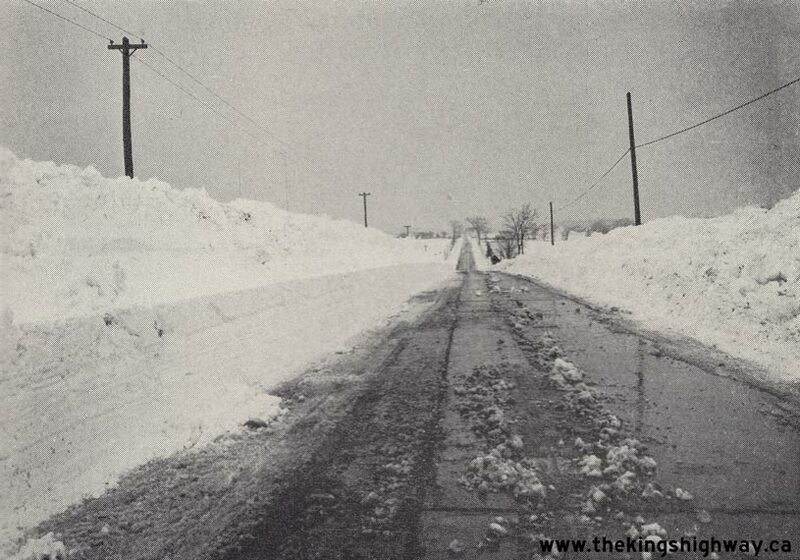 Roads packed with very deep snow made the business of sticking to studies easier, rather then even walking the two miles to town find any kind of local entertainment. There was one hotel the Clinton where wives of airmen could stay. It was located in Clinton about two miles north of the base. Because of the highly secret nature of radar at that time, there were times in their study when the student airmen were confined to the base. Not even visits by wives to the front gates of the base were allowed. Today Clinton still has a radar dish located on the main highway through the town. 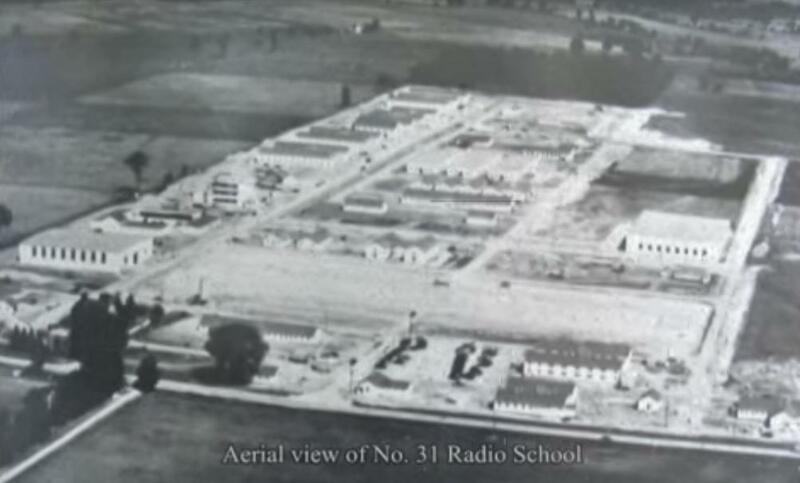 The radar building as of 2010 still had the covered dome and the base and many of the barracks buildings are now gone. But not all parts of them, my living room floor was made from parts of one the "H" shaped barracks buildings. The base is now a residential area named Vanastra with some of the remaining houses still in use.